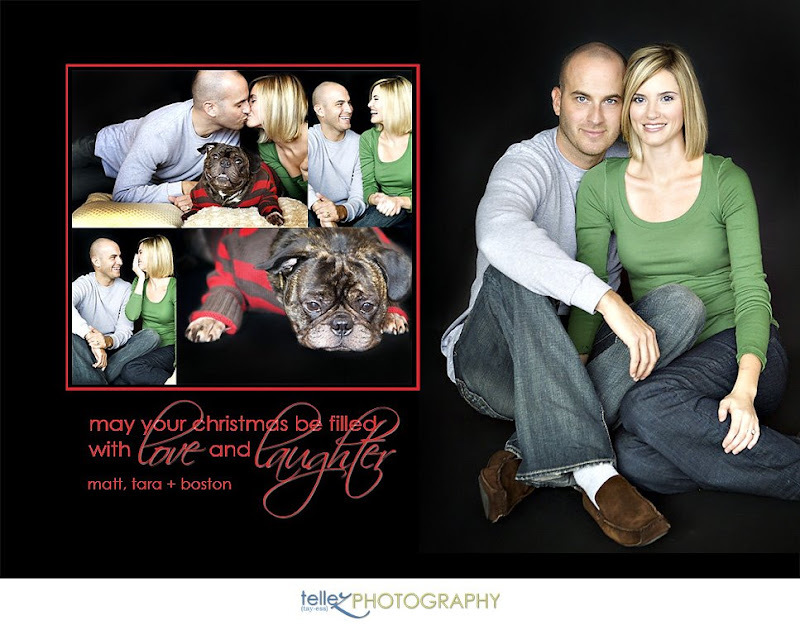 You've seen the blog post of this cute couple's photo shoot with their adorable French Bull Dog/Pug mix. Here's what we did with them! 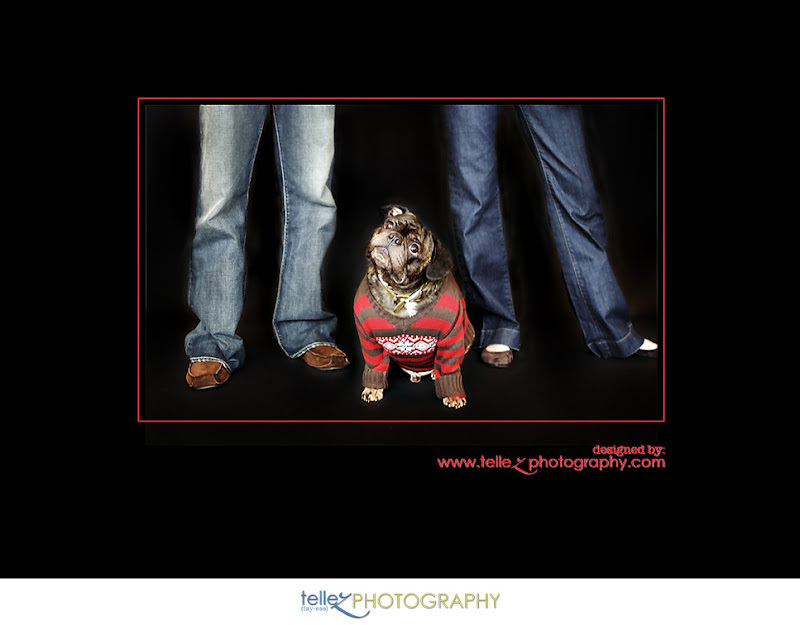 You could have one of these to send out to friends and loved ones of your own next year!